The Big Apple has a lot of avenues for creative, talented and inspiring people. We have witnessed so many geniuses coming out of the city and making a name for them in the marketing and advertising industry. If you are looking to take your advertising plans and messages to a whole new level, a well organized New York Ad agency can turn the tide for you. The field of advertising is buzzing with opportunities for creativity, talent and opportunity. If you are looking to communicate your brand message to a wider audience and enhance your brand image, hire one of these gems. The in-house teams in these agencies have the expertise to contrive customized campaigns for you. These organizations are a place where imagination and gravitates together to provide the clients with top-notch innovative ideas. The working culture of these digital organizations employ some of the most creative and innovative minds in the industry, and by combining the expertise of new-age designing with strategy, marketing efforts, and website designing, a client’s brand motive and marketing message are brought to life through a different types of responsive websites. 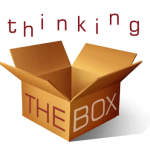 They also provide you with that out-of-the-box thinking required for your brands. You must have noticed that many recent campaigns have had that quirky touch to it. A reputed New York Ad agency can provide you with it. Digital platforms are now slowly turning out to be significant customer service platforms. Many brands are now looking for to sell their products and services on Social media platforms like Facebook, Twitter and much more. Advertising and marketing on the digital avenues are proving to be most palpable, most significant, most omnipresent way to interact and sell your services or products to future prospects, consumers and spread across the world. Your selling opportunities are not just limited to certain places or cities. With help of the internet, your brand can reach the consumer living seven seas across in mere minutes. A full service New York Ad agency can architect their services to help different brands and organizations (irrelevant of the shape and size) turn every screen from a prospective touch point to a rudimentary proof point. These agencies provide you with detailed digital roadmaps that are designed to assist you in navigating a constantly reshaping digital ecosystem. The strategic and creative expertise provided by the in-house teams of these agencies can to bring your brand to life through out-of-the-box and integrated digital experiences. Different agencies specialize in different genres of marketing. However, a full service New York Ad agency can provide you a full range of services. If you feel you are not making complete justice to your brand and need to give it a creative yet quirky touch, hire these agencies and take complete advantage of a world of innovative and profitable opportunities.